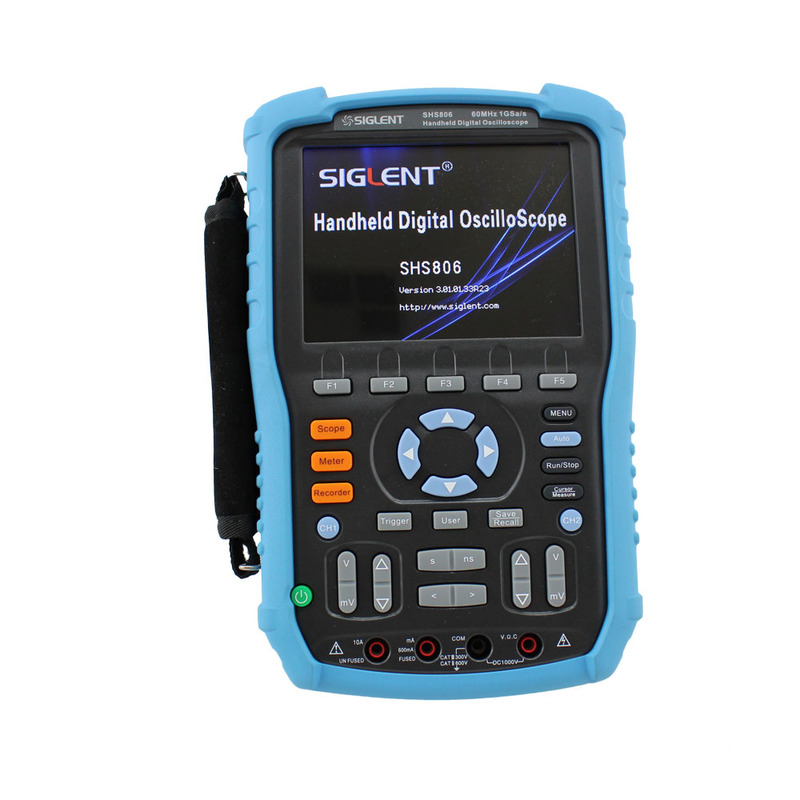 Terrific value on a 60 Mhz handheld oscilloscope with high end DMM features. 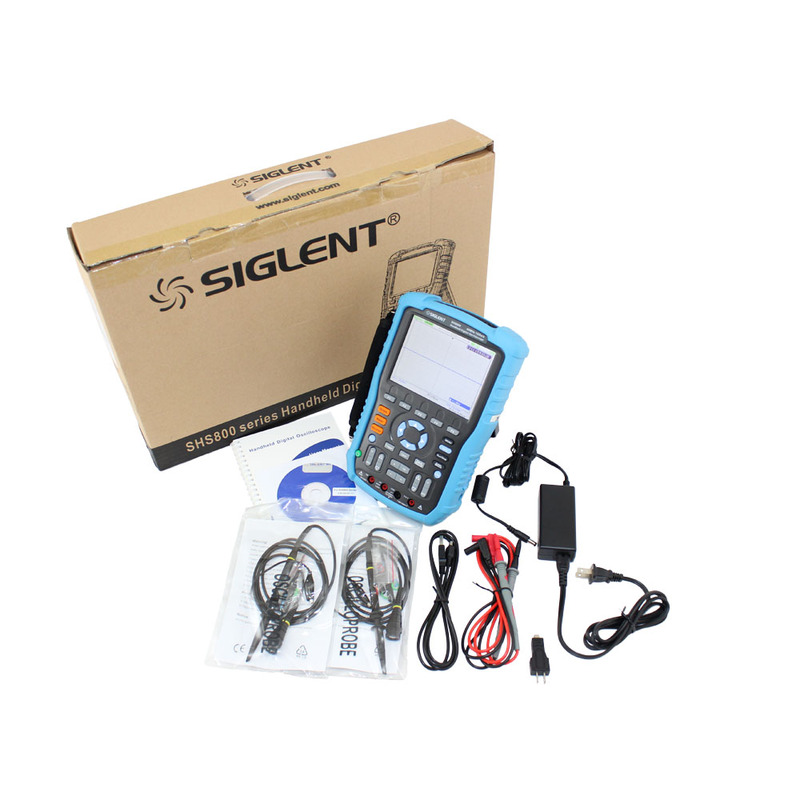 The Siglent SHS806 features excellent build quality, 1 GHz real time sampling rate and 2 Mpts of memory depth. Performance and features unheard of at this price. 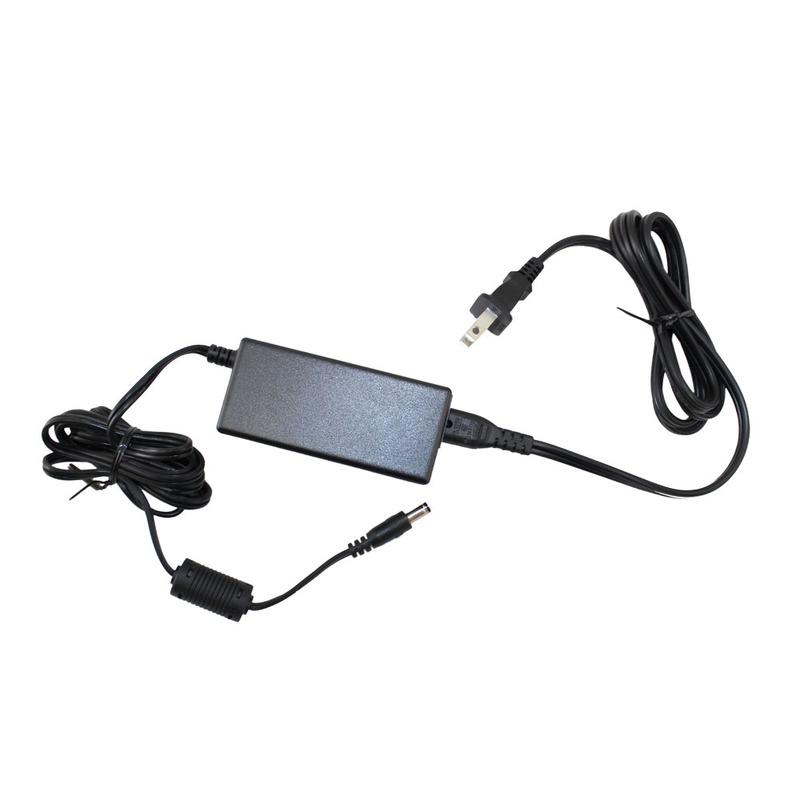 Additionally, this unit features a 6000 count highly accurate DMM. 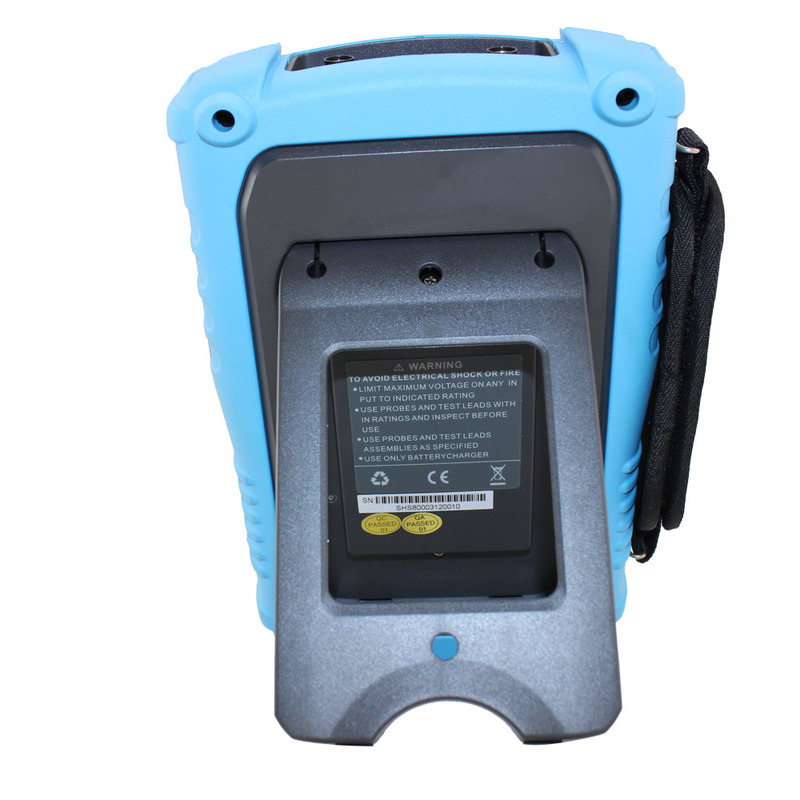 It is a powerful test and diagnostic tool for bench or field use. 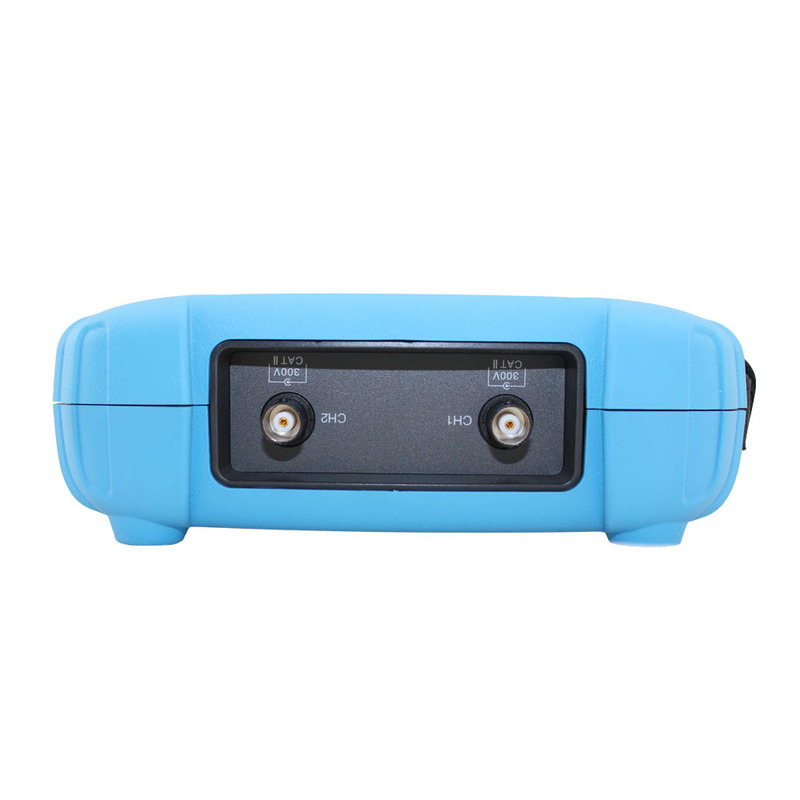 This oscilloscope includes a rechargeable lithium ion battery and a power supply/charger. 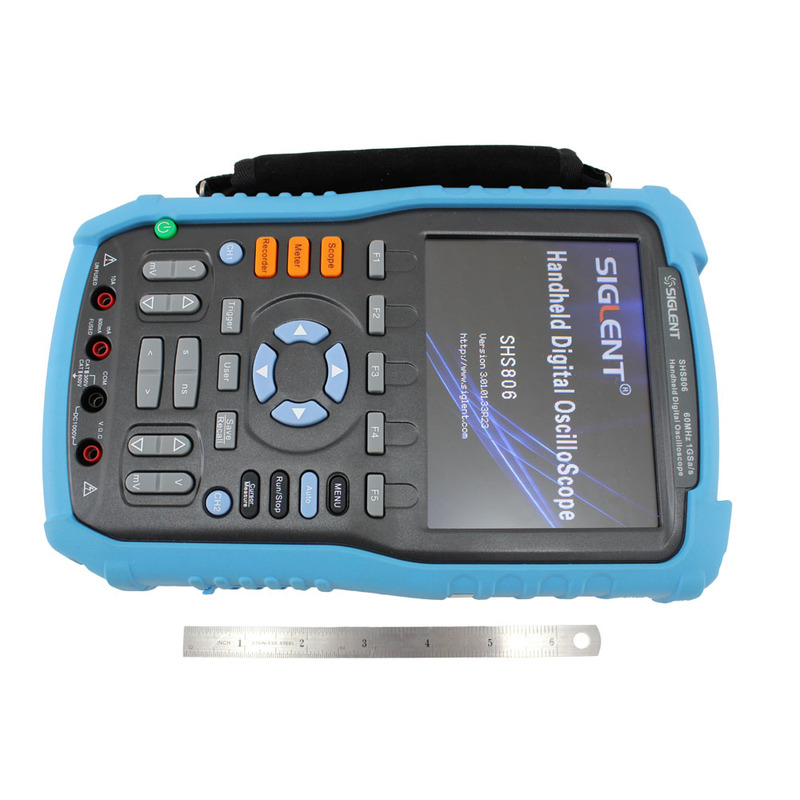 The Siglent SHS810 performs as a 2 channel 60 Mhz oscilloscope and a precision 6000 count digital multimeter with a wide selection of measurement ranges. 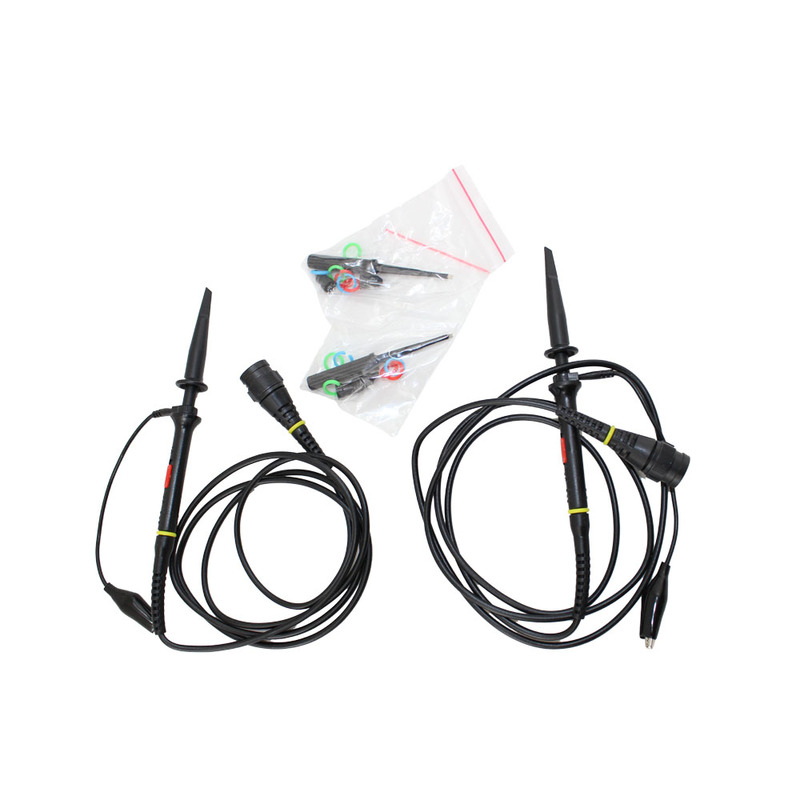 The oscilloscope has Pulse, Video, Edge and Alternate triggers with 32 automatic waveform measurements. It also includes FFT math capability. 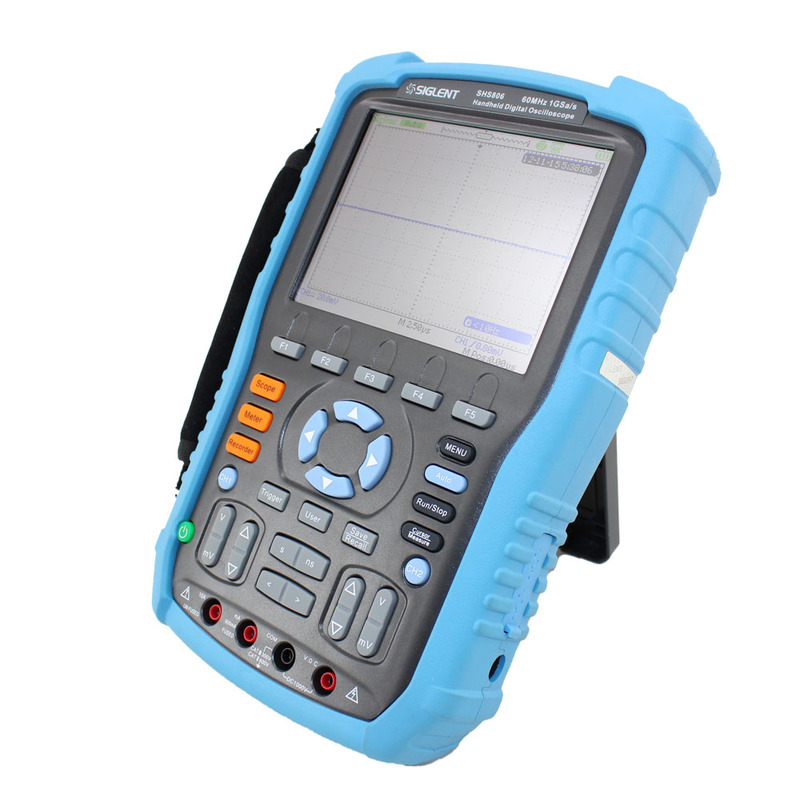 The 6000 count multimeter section measures resistance, AC voltage, DC voltage, AC current, DC current, Capacitance, and Diode Test. Built in Trend Plot can store up to 1.6 M pts. 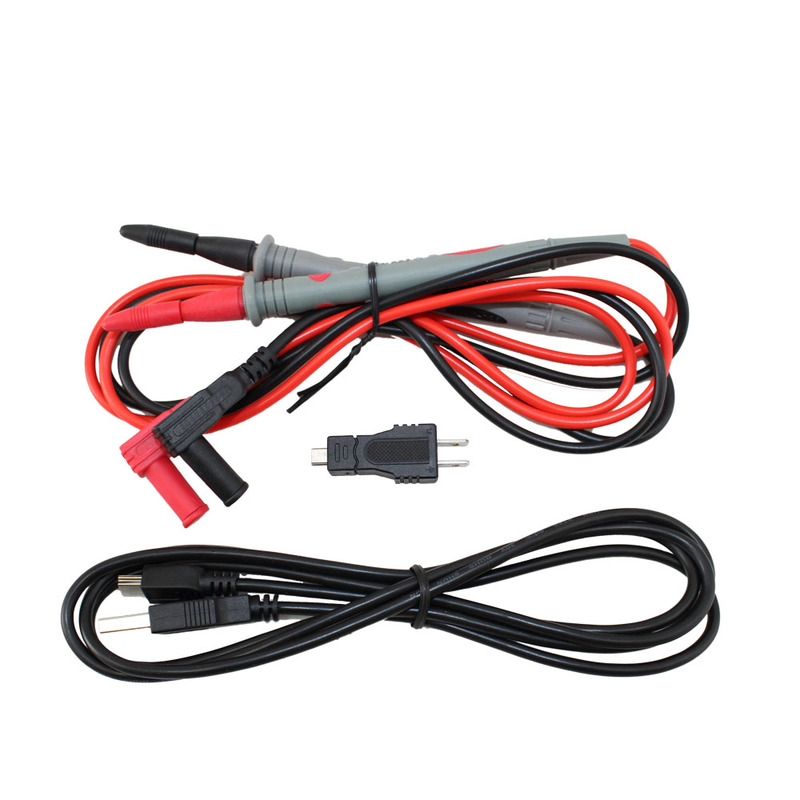 This item ships complete from our USA warehouse with two (2) X1/X10 oscilloscope probes, Test leads for the multimeter, an English language manual as well as AC power cord, power supply and rechargeable Lithium Ion battery. 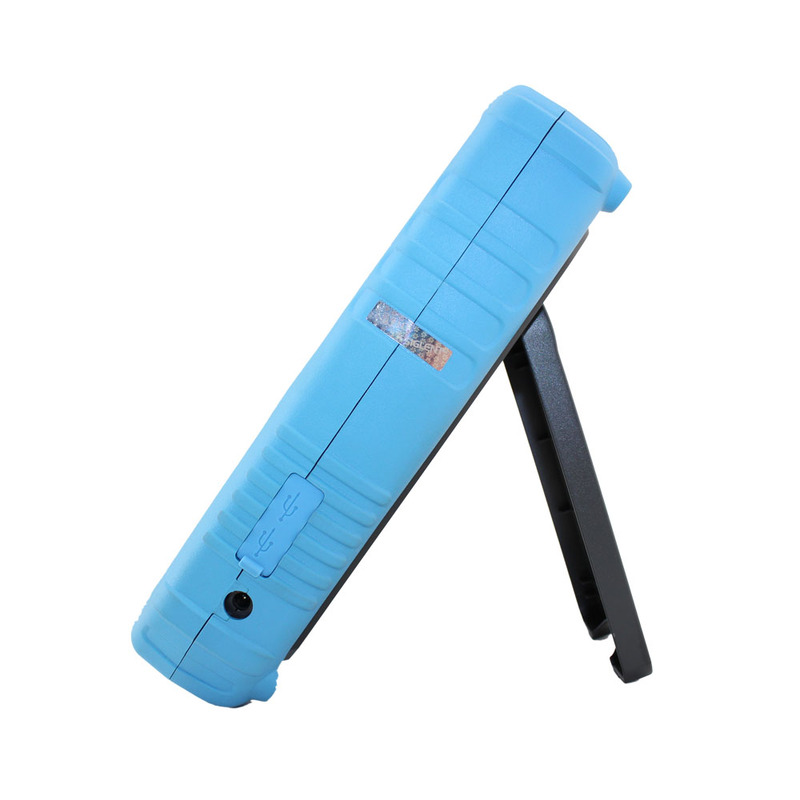 Supports Record, replay and zoom functions.